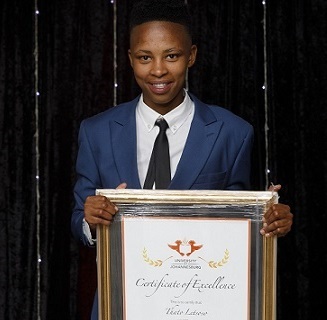 University of Johannesburg soccer star Thato Letsose believes she is reaping the dividends after consistent hard work saw her named the varsity’s Sportswoman of the Year this month. The 22-year-old sport psychology student, who made her debut for the South African women’s team this year, has enjoyed a stellar season on the soccer field. Further recognition came with her nomination as Sportswoman of the Year when UJ held their annual gala sports awards function at Randpark Golf Club on October 11. Born in Bloemfontein, but now living in Auckland Park in Johannesburg, Letsose said the award meant a great deal to her. 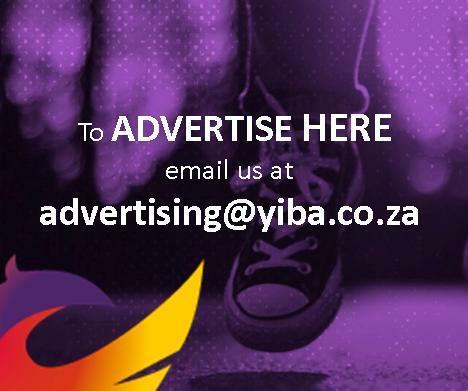 She admitted that failing to achieve goals she set herself was a big motivating factor. As with many of South Africa’s soccer stars, Letsose learnt about the game playing football in the streets of her community. “I remember getting involved at a very young age – about six or seven – when I started playing street football with my brother,” she recalled. “I love soccer because of the excitement of winning and the great team and work skills you develop. She added that meeting new people and developing strong friendships were among the many benefits of the game. Letsose said her three years at UJ had helped to develop her game on a number of levels. “Being at the varsity has taught me a lot in terms of modifying my skills, as well as learning to master a number of different positions. The UJ skipper acknowledged the contributions made by her coach, Jabulile Baloyi, and vice-captain Potso Aphane.